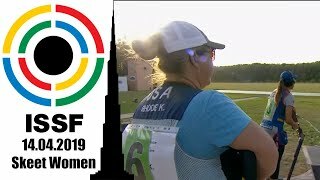 The German 30-year-old pocketed his 22nd overall World Cup medal in Gabala, becoming the 6th most-medaled Pistol athlete in the history of this competition. France’s Clement Bessaguet and Italy’s Riccardo Mazzetti completed the podium, respectively claiming Silver and Bronze. 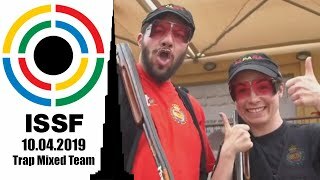 The German shooter beat Rio 2016 Olympic Bronze medalist Li Yuehong to win the ISSF Globe, the world cup final trophy. But the highlight of his year is yet to come. It’s the third consecutive Gold medal for the country, in rifle and pistol events, in Rio de Janeiro. 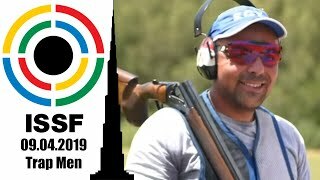 Climbing on his second Olympic podium, the 29-year old shooter walks in the footsteps of Ralf Schumann, a legend of the sport. 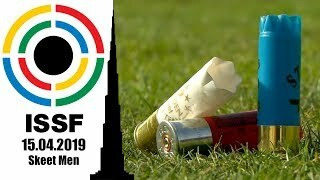 Competing in the ISSF World Cup in Munich, Germany, the home hero Christian Reitz clinched the brightest medal beating USA's Sanderson and Russia's Klimov. Nobody could stop Germany's Christian Reitz, today. 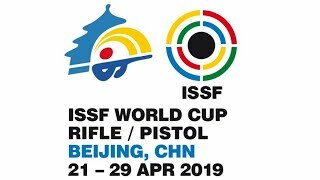 The 2008 Olympic Bronze medallist won the 25m Rapid Fire Pistol Men final at the 2014 ISSF World Cup in Rifle and Pistol events in Maribor, outscoring the Chinese finalist Zhang Jian in a shoot-off for Gold. 2008 Olympic Bronze medallist Christian Reitz of Germany won the 25m Rapid Fire Pistol Men event, today, at the 2013 ISSF Rifle and Pistol World Cup in Changwon, Korea.